Solar pool heating works very simply by putting pool water through a series of panels, each made of small tubes. The water collects the solar heat and returns to the pool. The water is regularly moving, heating the pool throughout the daylight hours. Solar pool panels are durable, have no moving components, and need no electrical connections. Solaron mounts the panels exactly side-by-side in a sleek array with no ugly hoses or clamps. The panels are aerodynamic and do not need to be strapped down, adding to their sleek look. Solar panels work on various roof treatments and orientations. Solaron is experienced at analyzing each pool and roof to maximize efficiency and performance. 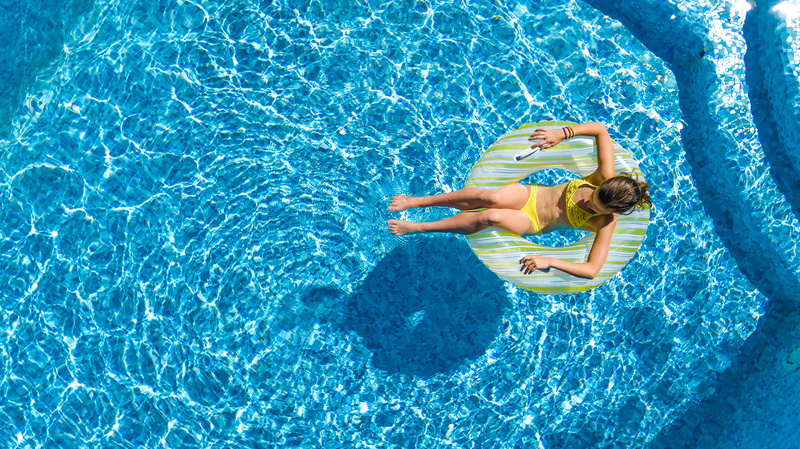 A solar pool installer in Sacramento for well over twenty years, Solaron can retrofit your pool or install a solar pool heater with a new pool. We place only Heliocol solar pool components and are the largest California Heliocol dealer and distributor. With sales and installation personnel fully trained by Heliocol, Solaron guarantees your satisfaction. Get started by calling us today at 916-631-9293 or by using our website request form!